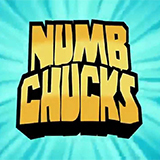 Numb Chucks is a Canadian animated comedy series written for television and starring two half-witted but big-hearted woodchuck brothers called Dilweed and Fungus who believe it is their task to use their very limited kung-fu skills to protect the inhabitants of their town Ding-a-Ling Springs. They are inspired and guided by a kung-fu video of Woodchuck Morris the brothers ordered off of television one night. The martial arts training video Dilweed and Fungus use as their guide is called The Way of The Chuck, which is a parody of famous martial artist and actor Chuck Norris' The Way of the Dragon. 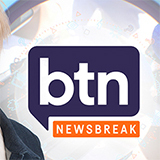 Woodchuck Morris, the host of the video, is an homage to Chuck Norris himself. As a result of the show's considerable success a mobile game called Chuck Fu was released at the start of 2015 on both iTunes and Google Play. Dilweed and Fungus dig a massive hole in search of their keys. In an effort to escape the Chucks, Buford asks the police to put him in witness protection. Dilweed and Fungus get snookered by a crooked carnival game. Woodchuck Morris' punching bag lives in Ding-a-ling Springs. 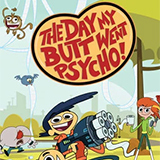 The Chucks lose their TV signal and instead pick up a strange show that seems to be based on their lives. In order to stoke some Christmas cheer, Dilweed and Fungus go tree shopping. Dilweed and Fungus attack and injure an intruder - who just happens to be Santa Claus! The Chucks invite themselves over to Hooves' new backyard pool. Unfortunately, Hooves has a long list of pool rules! When a new neighbour moves onto the Chucks' street, they become convinced that he is pure evil. After Dilweed tries to swat an annoying fly, Fungus opens up a fly sanctuary in the Chuck household.